Should more attention be paid to school performance in children and adolescents with diabetes? Diabetes with onset in childhood and adolescence has consequences for the family and the child, and the negative health effects and burden of daily disease management are well known. Less is known about the socioeconomic consequences of the disease and how it impacts on school performance. In this issue of Diabetologia, Persson et al report from a Swedish study regarding the impact of childhood-onset type 1 diabetes on school performance (doi: 10.1007/s00125-013-2870-8). Results indicate that onset of type 1 diabetes in childhood has adverse effects on school achievement and potentially on future successful employment. 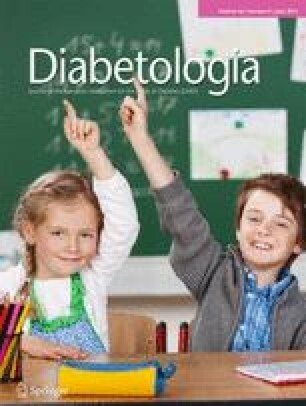 The authors suggest that attention must be paid in school to the particular needs of children with diabetes, although the question needs to be raised as to whether the differences are of such a magnitude that they matter and are relevant for healthcare and school personnel. The study provides a novel addition and is important because of the limited information available on educational performance among children and adolescents with diabetes. However, the results should be interpreted with caution because of the limitations of the study design, the relatively small differences detected and the fact that results from one country are not transferable to other countries without further research. The challenge is to find the resources to set up population-based studies in countries where appropriate data are available to investigate the long-term effects of type 1 diabetes on education and employment in different settings. In recent years, high-quality diabetes registers have been established in several countries for a number of purposes, primarily epidemiological surveillance and research, and in most cases for children and adolescents among whom the majority have type 1 diabetes. In Europe several registers have amalgamated into the EURODIAB study group  and in Germany the DPV (Diabetes Patienten Verlaufsdokumentation) database was established several years ago , facilitating multicentre studies with high national coverage of the diabetic population. The Nordic countries have a particular advantage as all their inhabitants are registered with a personal identifying code, allowing extensive register linkage so each individual may be followed ‘from cradle to grave’. The linking of registers with personal and sensitive information is, of course, heavily regulated, but the legal restriction varies considerably from country to country. Several of the diabetes registers have now been in function for more than 30 years, and we expect to see an increasing number of long-term, population-based follow-up studies of subjects with diabetes, based on registers rather than on data obtained from clinics. Epidemiological research regarding the prognosis of childhood diabetes has, to some degree, changed focus from considering ‘only’ micro- and vascular complications to looking at psychological issues, quality of life and functional handicaps in adult life. In this issue of Diabetologia, Persson et al report results from a Swedish study regarding the impact of childhood-onset type 1 diabetes on school performance . This study is, to my knowledge, the first to investigate the impact of childhood-onset type 1 diabetes on higher educational level and short-term successful employment using a population-based prospective study design. The prospective longitudinal study investigates the impact of type 1 diabetes on final school grades at graduation from compulsory school (16 years) and upper secondary school (19 years) as well as on gainful employment 10 years after the end of the upper secondary school (29 years) in a large population-based cohort of patients with disease onset between the ages of 0 and 14 years, compared with controls from the general population in Sweden. Individuals were selected from national registers (Swedish Childhood Diabetes Register, Swedish Education Register and other national population registers). Analyses were adjusted for a set of potential confounders including socioeconomic variables (parents’ level of education and income). Results indicate that onset of type 1 diabetes in childhood has adverse effects on school achievement and potentially on future successful employment. In particular, the combination of diabetes and lack of upper secondary education has a negative impact on future employment. The authors conclude that they found a small but significant negative effect of type 1 diabetes on schooling, which could affect opportunities for further education and career development, and that attention must be paid in school to the special needs of children with diabetes. The question that needs to be raised is whether the differences are of such a magnitude that they matter and are relevant for healthcare and school personnel. A major strength of this study is that it was population-based and involved prospectively recorded, individual-level national register data on over 12,000 individuals. There are also certain limitations, such as the use of academic grades as an outcome measure. There is a risk that these may reflect other influences on students' performance as well as subjective feelings of teachers. It might be possible that teachers who are aware of a student's diabetes would grade him or her more or less favourably than non-diabetic classmates with identical academic skills. In addition, the use of ‘gainful income’ as a measure of success in the labour market and its role as an indicator is questionable; permanent or temporary disability may be a better indicator in future studies. Dropout from upper secondary school is a growing problem and the Swedish study revealed a dropout rate of approximately 20% in diabetic subjects as well as controls. It was also found that adolescents with diabetes were less likely to choose a theoretical programme that would prepare them for higher education. Further, it seems well established that family structure is of high importance in the successful treatment of type 1 diabetes and may also have some impact on the social functioning of the child. In this study , the authors were unable to correct for family structure, for example whether the parents were divorced and whether the child was living with the mother or father. However, the study provides a novel addition and is important because of the limited information available on educational performance among children with diabetes. Nevertheless, the results should be interpreted with caution, because of the limitations of the study design, the relatively small differences detected and the fact that results from one country are not transferable to other countries without further research. The association between educational achievement and having a chronic disease such as diabetes can be explained by several factors. In both compulsory and upper secondary school, the time demands of handling the disease compete with study time. Early severe hypoglycaemia , as well as attention and memory difficulties due to minor episodes of hypoglycaemia , may also have short- and long-term effects on grades at both the educational levels analysed in this study. Earlier studies have indicated increased absenteeism from school among children with diabetes, which can be expected to negatively affect educational progress and performance after school. Last but not least, the total burden for a child and family of dealing with a chronic and life-long disease can be expected to have an effect on quality of life and the social functioning of the child, including at school . Should these results have any consequences for our attitude to children and adolescents with diabetes? In school, diabetic children and adolescents already receive extra attention because of the use of insulin, blood-sugar measurement and dietary restrictions, and around the world, children still risk discrimination because of their special needs for diabetes management in school and daycare . Is it warranted to carry out psychological screening not only for children that have early signs of learning difficulties but also for children with type 1 diabetes in general? Persson et al  recommend that attention must be paid in school to the particular needs of children with diabetes and suggest that their findings support collaboration between families, clinicians and teachers to identify and assist particularly vulnerable children and teenagers. One may ask if it is avoidable that a life-long chronic disease, from childhood or adolescence, would have consequences for daily life, including school achievement. If we take a look at the 2009 guidelines from ISPAD (International Society for Pediatric and Adolescent Diabetes)  in relation to school performance, it focuses on the monitoring of school performance in children who develop diabetes at a young age and who have a history of significant hypoglycaemic episodes at an early age. The chapter ‘Diabetes and employment’ in the ADA Clinical Practice Recommendations 2013  focuses on the adaptation to the labour market of people with diabetes and on jobs with increased risks. The clinical relevance of this study  and the need for further research in the area is obvious; but the task for healthcare workers, school personnel and parents will still be to ensure that diabetes interferes as little as possible with daily school work and to minimise sick leave and absence for other reasons. Avoidance of serious hypoglycaemic episodes is still crucial because of potential harm to cognitive function. So where do we go from here? The interaction between families, school and healthcare varies considerably between countries, as do the education and academic grading systems. Thus the challenge is to find the resources to set up population-based studies in countries where appropriate data are available to investigate the long-term effects of type 1 diabetes on education and employment in different settings. The author was the sole contributor to this commentary.